Dwayne “The Rock” Johnson was already one of the most attractive stars on the planet, but he somehow just found a way to be even hotter than he already was: Dwayne Johnson is looking absolutely amazing after murdering his uncle and stealing his wig. Wow! He really is more gorgeous than ever now! 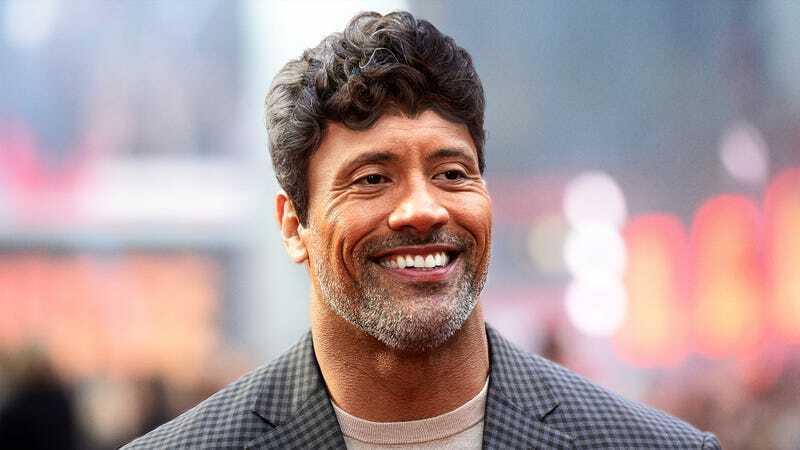 It seemed like it was impossible for Dwayne Johnson to get any more perfect, but the Jumanji star managed to achieve the impossible earlier this week when he strangled his uncle and pilfered the wig from his dead body, leaving him with a tasteful hairpiece that makes it look like he’s got a healthy shock of black hair on top of his beautiful head. The Rock could be seen walking through Hollywood all day yesterday showing off his brand-new wig, which once belonged to his uncle and had for years aroused intense jealousy from the actor. Johnson says the desire to possess the wig ate away at him day and night, and when he finally could take it no longer, he murdered his uncle in cold blood so that he could have the wig. It’s a choice that definitely paid off, because now that he has his dead uncle’s wig, Dwayne is definitely looking younger and more confident. Swoon! We’d seriously give anything to score a date with this dreamboat! Seeing how incredible Johnson looks now, we honestly wish he’d snapped his uncle’s neck and stolen his wig years ago. We’ll take The Rock any way he comes, but if you ask us, he looks sexiest when he’s sporting his dead uncle’s wig.